SALAR Media Group | Can hemp save America’s farming economy? SALAR Media Group / Hemp / Can hemp save America’s farming economy? 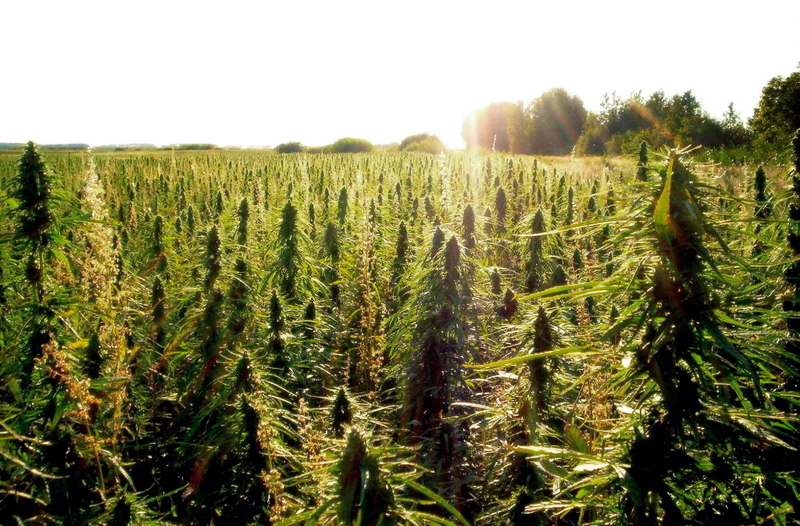 American farmers say hemp may revive the agriculture industry. The United States may be on the verge of a booming new hemp industry. That’s good news to American farmers who’ve seen profits dwindle substantially in recent years. After 77 years of prohibition, farmers in various states across the country have begun growing hemp again. That’s in thanks to a 2014 farm bill signed by President Obama, which included a provision removing hemp grown for research purposes from the Controlled Substances Act. Additionally, at least 27 states across the country have enacted their own hemp laws allowing for commercial industrial hemp programs or research-related hemp programs. Hemp is a type of cannabis plant that contains very low levels of THC (0.3 percent or less). Hemp and marijuana are related, but hemp cannot get users high. It is grown primarily for its fibers and seeds, which can be used for hundreds, maybe thousands of different purposes. America has watched Canada’s hemp industry rise to nearly $1 billion a year, and now American farmers are pushing to grow the crop as well, according to the Los Angeles Times. The rise of hemp farming comes as traditional crop profits decline. Farmers in North Dakota are revving up for their first year of hemp cultivation in 2016, under the state’s new industrial hemp pilot program. One of those farmers, Jamie Edwards, told the Tri-State Neighbor that he’s hopeful hemp will generate more revenue than the 3,000 acres of corn and soybeans he normally grows. There are many financial and environmental benefits to growing hemp. Hemp can be grown in many climates and environments, making it a suitable crop “to explore across North Dakota’s varied landscape,” the Tri-State Neighbor reports. Additionally, hemp needs just half as much water as wheat does to grow and it reaps in four times the profits, according to a Los Angeles Times report. Despite the economic promise hemp holds for America’s agricultural industry, hemp is still federally regulated as a form of marijuana, which poses business hurdles for hopeful farmers. Congress currently is considering a bill that would remove industrial hemp from the federal Controlled Substances Act entirely.